Brothers Tony, left, and John Langdon check on the growth of their young hazelnut orchard following its first harvest last fall. Langdon Farms of Harrisburg, Ore., now has 100 acres planted to hazelnuts on ground that was previously planted to grass seed. 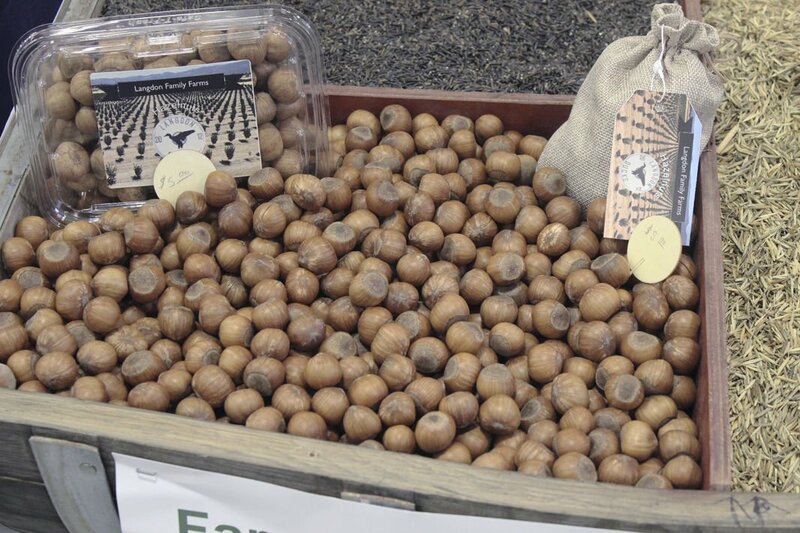 A field burning ban resulted in the Langdons finding a different crop — hazelnuts — for some of their ground.